Kouk Khleang Youth Center is located in Phnom Penh, Cambodia. The youth center is be operated by two Cambodian organizations Cambodian Volunteers for Society (CVS) and Khmer Kampuchea Krom for Human Rights and Development Association (KKKHRDA). Construction of the center was finished in September 2013. 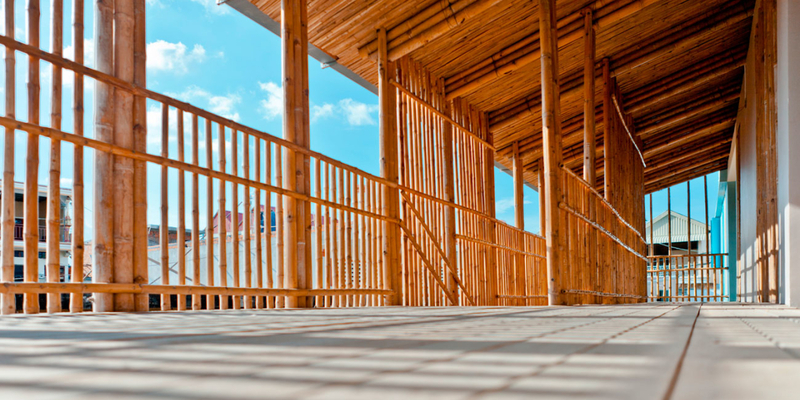 Designed by Komitu Architects (Finland) as part of a development co-operation, this Bamboo and Earthen building is designed to serve as a community and youth education center. The design was achieved through a design collaboration with community members. The Komitu Team lead the process of fundraising and project implementation, bringing in the team from the Natural Builders to consult on the specifics of the projects material and methods. 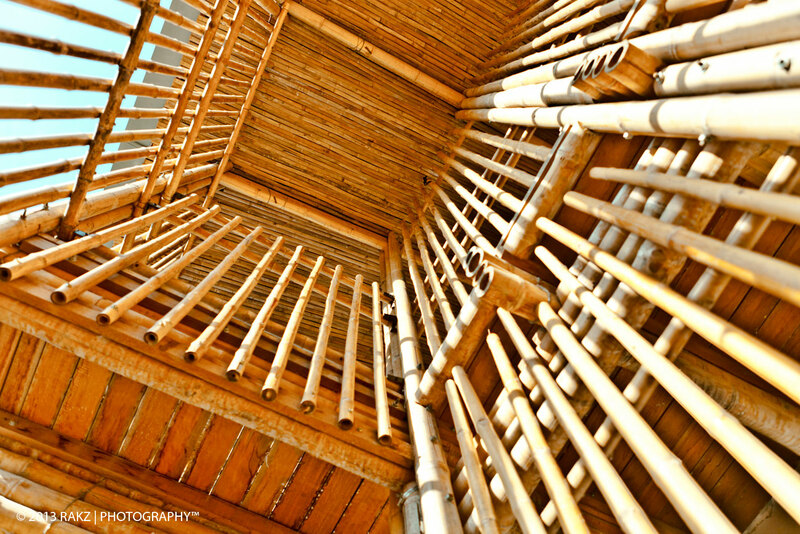 The project is constructed as an integrated structure with Bamboo as both structural and decorative members for several walls and the main roof structure. Locally manufactured Compressed Earth Blocks and recycled Bottle walls act as the infill for a reinforced concrete frame. - Identified local species of bamboo and specified use based on the Komitu team surveys. - Outlined a treatment process while assisting in creation of a training manual for site workers. - Reviewed structural designs to address assembly and structural optimization. - Performed material quality control tests on the Bamboo and other materials. 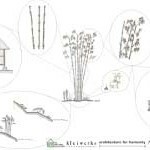 - Facilitated workshops to train workers in modern approaches to Bamboo construction, Earthen and other related natural building techniques. - Offered regular consultancy to aid the projects efficient completion. The center had its "Soft opening" in late 2013 and expects to be running fully in early 2014. To find out more about the Architects or the project and benefactor community, visit the Komitu Bog here.